On Saturday, Bafana lost 3-1 away to 114th world ranked side, Mauritania. Numerous reasons have been given for such a shock result but when looking at how coach Shakes Mashaba failed to prepare for his opponents, this is no surprise. 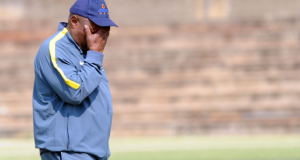 The arrogance of the coach and his long outdated beliefs has led to a defeat that leaves Bafana’s AFCON hopes in tatters. Big Data analytics and performance analysis are no longer changing football; it has changed football. It is no longer a luxury but becoming a must. Football teams use performance analysis to attain objective information more efficiently in order to gain a competitive advantage. It was in the mid to late 1990’s that the use of video and data became a function in sport. Prozone pioneered the use of systems to analyse pre and post-match analysis and Derby County became the first club to adopt the technology in 1998. Of course across the corners of the globe through club football to international football the use of performance analysis various depending on objectives, budgets, availability, etc. We do not expect Bafana Bafana to be utilising the most advanced and expensive technological software available but to what extent (if any) are they currently performing opposition analysis as part of their preparation? 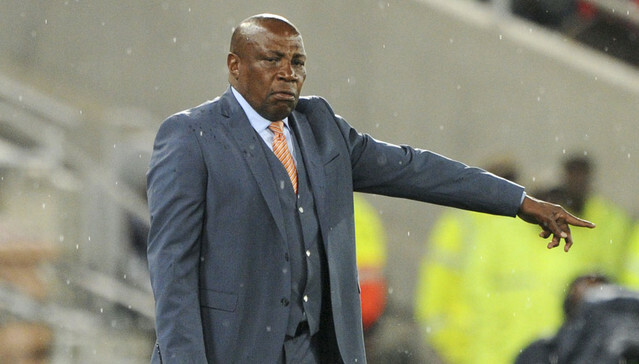 Serious question marks have being raised regarding Shakes Mashaba’s teams’ preparation for their previous two Afcon 2017 qualifiers. Repeatedly prior to and post both qualifiers against Gambia and Mauritania, journalists posed the questions, “What do you know about the opposition? Where you have prepared for the opposition?” To be honest, in modern day football, whether you playing against FIFA’s newest member’s in South Sudan or one of FIFA’s smallest members in Slovenia, these are questions that should not have to be raised. Who performs Bafana Bafana’s performance analysis? Has it been outsourced to a professional company as the vast majority of football teams across the world have done? If not, is it performed in house by one of the committee members or even the coach himself? Lastly, is minimal performance analysis performed to the extent players are required or forced to do it themselves? I wouldn’t say we know much [about Gambia]; the last time I saw them play was some two-and-a-half years back. Up to this point I haven’t really given myself time to check on what’s happening. I’m one different coach … I don’t believe in what we call spying. You watch a team play and they change five players, what do you do? You run back to your dressing-room and say… ‘hey, they have made five changes, let’s change our plan’. Let us prepare ourselves to go and fight. We have opposition in front of us, let’s go and play them. Let’s work on our game plan on how we’re going to beat them. Of course working on your own game plan is fundamental in football but is it reasonable to expect to beat an opposition you have no knowledge of? The harsh reality is the above comments from our national team coach signifies both laziness and inadequate match preparation. Mashaba uses the word “spying” however opposition performance analysis (using video which is sometimes freely available) is considered research and preparation and by no means spying. If a team loses 1-0 to Cameroon that’s says a lot to you. You cannot take that team lightly. They won’t be an easy opponent but we have prepared very well for the game and today we just need to iron out what we have practiced into work and win this game. Unfortunately for the national team coach the evidence undoubtedly points towards poor and inadequate preparation. Perhaps in his view, pre-match opposition analysis is not required and in this is the case, Bafana Bafana will continue their slide into football obscurity. Bafana Bafana were previous proponents of Prozone software but now appoint an in-house analyst. Even a top analyst working without Prozone software, coding and access to video of opponents from around the world, will struggle. Even a top analyst working with a coach who does not believe in adapting their tactics to nullify the strengths (and exploit the weaknesses) of the opponents will not be able to help influence the result. In the South Africa PSL, Orlando Pirates, Kaizer Chiefs, Mamelodi Sundowns and Ajax Cape Town are four of the biggest users of match and opposition analysis software. You just have to read Steve Komphela’s effusive praise and use of what he describes as “PROFILING” to see how far Mashaba is behind the coaches of the aforementioned sides. You can see all of Komphela’s comments here.